It’s a Sunday at the end of one of the many busy weeks working on the new BBC Uzbek TV programme for Afghanistan’s Uzbek-speakers. I am on a shopping trip to the bustling East Street market in South London, where fresh fruit and vegetables are in abundance and sold for almost nothing. Known as a trading area from as early as the 16th century, the market has some new traders - young, entrepreneurial and accommodating immigrants from the Middle and Near East. Turks, Kurds, Iraqis and Afghans - all enthusiastically work alongside some remaining White British and Black Caribbean traders. The brief, heart-warming scene with Habib was very much in synch with what was – and still is - dominating most of my waking hours: how best to present the BBC’s news content to the Uzbek audiences in Afghanistan. It also brought back my memories from 1984. Five years into the Soviet invasion of Afghanistan - and the Afghan mujahideen’s fierce resistance – three of us: two boys from Tajikistan and me, the only female student from Uzbekistan, went on an exchange programme to Kabul American University. I was studying at two faculties: Dari language and social history of Afghanistan. Before you wonder: yes, many questioned the sanity of my parents who sent their daughter to a war-torn country. On our arrival in January we joined the group of shorawi (Soviet) advisers, lecturers, teachers from different parts of the USSR working at the Kabul University. Soon, on a Friday - a day off - we went on a rare and carefully guarded visit to the capital’s Shahre-Naw trading district. As we got out of our curtained bus, I walked along the narrow streets overflowing with a literally dizzying variety of Western clothes, fine perfumes and Japanese tape-recorders. To a Soviet girl, accustomed to lack of choice, this was where the introduction to the West’s riches started. It was amidst this fascination that my fellow Tajik student called me to say someone wanted to meet me. As we sneaked into a dukan, I was introduced to a boy of about 15 - a shop assistant called Asadulla. He greeted me with a soft smile - and astounded me by saying in pure Uzbek: “Yaxshimisiz, opajon?” – “How are you, sister?” I turned out to be the first Uzbek from Uzbekistan he had met. As for me, a student from Soviet Uzbekistan, up until that encounter I hadn’t known that Afghanistan had “its” Uzbeks. Yes, the Soviets chose to keep us unaware of our ethnic kin in the neighbouring country. 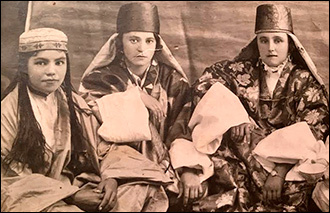 Although Uzbek tribes had lived in Afghanistan for centuries, Soviet Uzbeks’ ethnic kin in Afghanistan weren’t part of their national narrative. The Afghan Uzbeks’ history was not studied properly in Soviet Uzbekistan, nor was it mentioned in our textbooks. At school, we were taught the history of Uzbekistan within the Soviet republic’s territory, and the history of Uzbek people stopped at the Soviet borders. 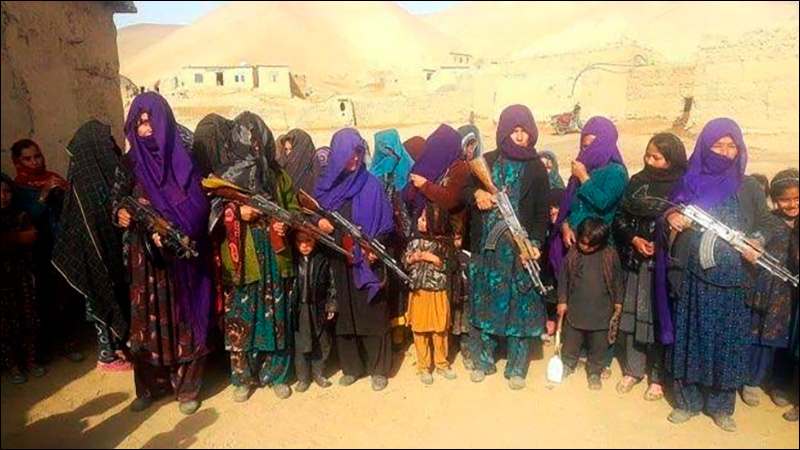 The Soviet media didn’t mention Afghanistan’s Uzbeks. Later I discovered that they weren’t part of the Afghan narrative or curriculum either. The Uzbeks of Afghanistan were some kind of a taboo subject in the two neighbouring countries. But history they had. One of the most famous kingdoms of the Timurid dynasty, the Herat kingdom of Sultan Hussein Baykara – a Turkic ruler - was established in the 15th century. The founder of the Uzbek classic literature, Alisher Nava’I, was a vizier to him. Uzbek kingdoms in Afghanistan, such as Maimana khanate and Qunduz khanate, are known to have existed from the 16th century. The ruler of Maimana – an important trade centre - was a subordinate of the Emir of Bukhara – whose emirate became Russia’s colony as a result of the Russian expansion in the mid-19th century. In a hope to put an end to Anglo-Russian rivalry in Central Asia, a shaky agreement divided the spheres of influence between Russia and Britain. Tsarist Russia’s borders stopped at the river Amu-Darya thus dividing the lands on which Uzbeks lived. It was arguably as a result of that division that the Uzbek khanates of Kunduz and then Maimana, on the other side of the river, were finally crushed by Afghan rulers. Later, in the 1920s, following the defeat of the Emir of Bukhara by the Red Army, northern Afghanistan saw an influx of Uzbeks fleeing the Bolsheviks. Along with the Uzbeks, other ethnicities of Bukhara Emirate - Tajiks, Turkmens and Kyrgyzes - found refuge in the north of Afghanistan. Among them was Bukhara’s last ruler, Said Alim Khan, who died in exile and was buried in Kabul. 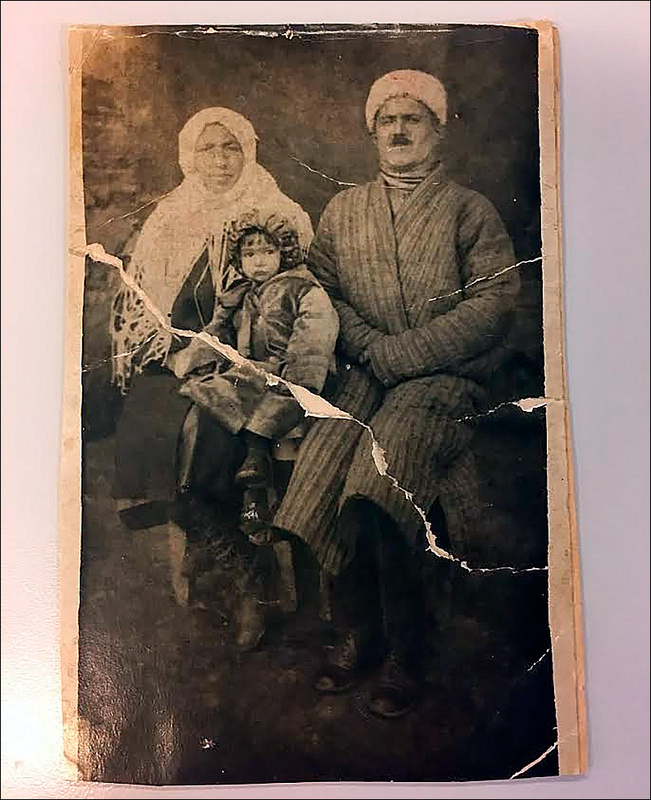 Under pressure from the Soviets, the Afghan authorities denied him and his family a passport lest they leave the country. My family, too, was caught in this turbulent history. 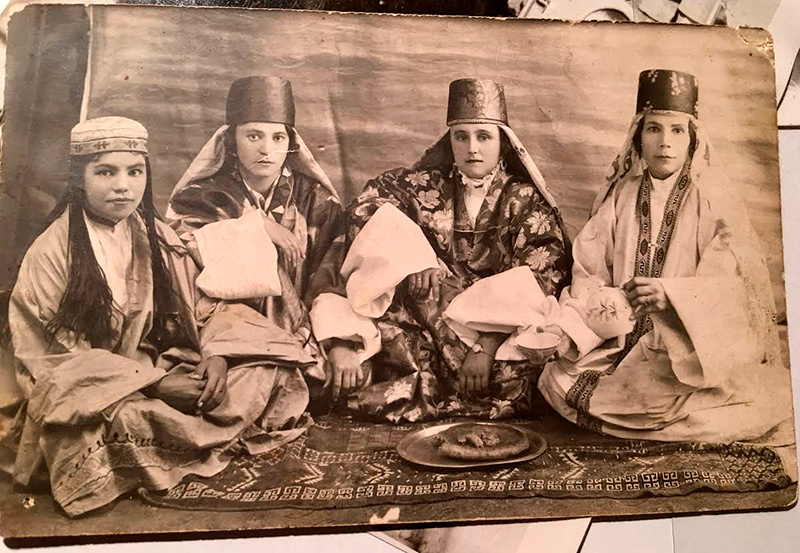 Around that time my Afghan grandfather, Mullah Babakhan, a merchant from Kabul, settled in Bukhara where he met and married my grandmother, Alima. As the borders finally closed in the 1930s, he never went back. Homesick foreigner, he died in 1937 during Stalin’s purges. On the other side of Amu Darya river, industrious and entrepreneurial Uzbeks – alongside Turkmens - contributed to Afghanistan’s development with carpet weaving, karakul production, raising livestock and cultivating rice and wheat. Their famous Bukhara-design carpets with the “elephant foot” pattern on tan background became one of Afghanistan’s export trademarks. Some research on the British-Afghan relations contains claims about a deliberate understatement by Afghanistan’s Pashtun rulers of various ethnicities in the north. Britons who visited Afghanistan in the 19th century from British India were mostly dealing with Pashtuns and Tajiks, whose predominantly negative characterisation of Uzbeks ended up forming the overall perception of them. Uzbeks’ frequent rebellions against the attempts of the Afghan emirs to bring them under centralised power were inevitably crushed. According to some experts on Afghanistan, the actions of Pashtun rulers in Afghan modern history often were presented as unifying, as opposed to the rebellious Uzbeks whose actions were interpreted as “break-away”. School textbooks described the defeats of Uzbeks as “us” versus “them”. Until the 1970s – when Afghanistan’s ethnic minorities were officially recognised – Uzbeks, along with Turkmens and Hazaras, had been excluded from holding governmental posts and prevented from achieving high ranks in the Afghan army. From 1980s, following Soviet-style language-equality policy, the subsequent Moscow-backed governments of Nur Muhammad Taraki and Babrak Karmal made significant steps to promote education in minority languages. Uzbek - which belongs to the Turkic group, unlike Dari and Pashto - was one of them. That’s when the faculty of the Uzbek language and literature was opened at Kabul American University. And I was lucky to meet first Uzbek lecturers during my studies there. Word of me had reached them - just like that Uzbek boy in the dukan, Asadulla – and one day they invited me to their department for a cup of green tea. I remember the spirit of my conversation with them - young teachers, overwhelmed with enthusiasm and joy. They could do what had been hitherto unthinkable: teach in their mother tongue. After the tea, many invitations followed. Once, the only female teacher from their team treated me and her male colleagues to home-made oshak - dumplings stuffed with chives. The Uzbek they spoke was different from my Uzbek. Mine was peppered with Russian words (eg for “car” I would say mashina and they would say mutar) and idioms that they could not understand, or found strange. On the other hand, some Turkic words we used meant different things to us: kecha in my Uzbek means “yesterday” whereas to them it is “evening”. For “yesterday” they use a word which people in Uzbekistan would perceive as archaic - tunov. Imagine our confusion trying to arrange a date! After the mujahideen came to power, the university’s Uzbek department was closed down, never to re-open. I wonder where those teachers of Uzbek are today. As to Asadulla, all I know is that by 1985 those Uzbek dukans in the famous Shahre Naw were shut down. According to the 2014 survey conducted by Asia Foundation, today Uzbeks are the largest Turkic group among Afghanistan’s main ethnic groups, making up about 9% of the country’s population. 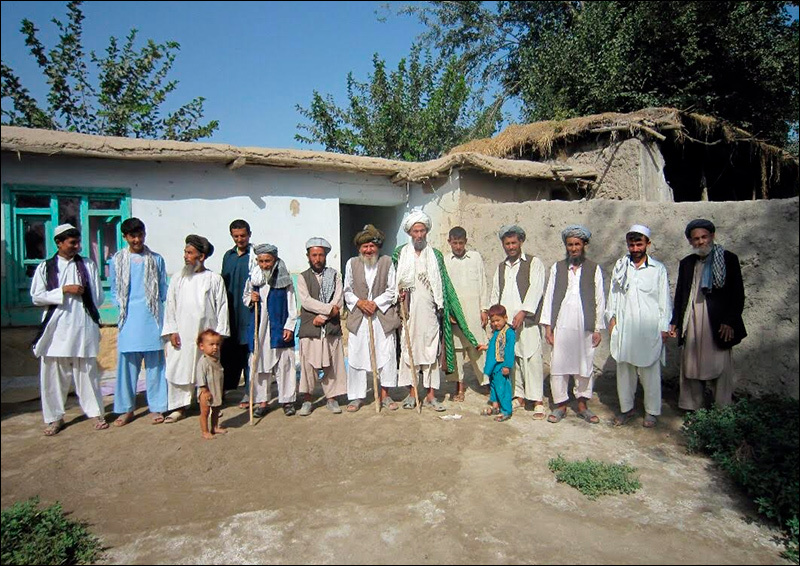 But figures of the total number of Afghanistan’s ethnic Uzbeks vary from one source to the other, between 1.5m to 10m. Afghanistan’s only national census was carried out in 1979, and continuous wars and fighting have prevented obtaining new figures ever since. During their trips to Afghanistan after the fall of Taleban, my colleagues from BBC Uzbek service, while travelling through vast areas in the north of the country, reported about places densely populated by ethnic Uzbeks. Despite being mostly educated in Dari, Afghan Uzbeks can easily engage in their mother tongue when opportunity arises - whereas a lot of their Russian-educated kin in Uzbekistan are less articulate. The Uzbek spoken in Uzbekistan was - and still is - loaded with borrowings from Russian and has underwent general russification – a cultural assimilation whereby the Russian pronunciation of Uzbek words became a norm. The Afghan Uzbek is heavily influenced by Arabic and Persian – and if you ask me, there is a certain softness in it which I think also is reflected in body-language and mannerisms. Ethnic Uzbek Afghans have largely sustained their language by oral tradition. My BBC Uzbek colleague from Takhor told me that he has never attended an Uzbek school or an Uzbek language class. Uzbek is his mother tongue, the language of their family and of the culture he shares with his fellow Uzbeks. Another colleague recalled how poetry by the 17th century Uzbek classic, Mashrab, was recited at special gatherings in mosques and chaikhanas in Takhor and Faryab provinces. Mashrab was born in Namangan, modern Uzbekistan, and buried in Balkh, modern Afghanistan. Recent decades brought the Uzbek Afghans more exposure to the Uzbek language of Uzbekistan – and more dangers to their heritage. On my trip to Mazar-e Sharif in 2003, I heard many stories about how, during the Taleban rule, when TV was banned along with other entertainment, people hid their TV sets behind the curtains in the wall alcoves. In secret they watched programmes from neighbouring Uzbekistan, admiring the blissful scenes of peace, carefully choreographed by Uzbek State TV. Residents of Mazar-e Sharif also learned to hide their Uzbek books which, if found by the Taleban, would have been burned. From 2004, following the toppling of the Taleban, the Uzbek language gained official recognition in Afghanistan’s territories with high concentration of Uzbeks. The new Afghan constitution stipulates for the protection of ethnic minorities and the development of national languages in the regions they compactly live. Courses of Uzbek were introduced in the Teachers Training Institute in Faryab, as well as at Takhor and Balkh Universities. However, Uzbek textbooks were not available until 2009. The newfound attention and care is not universally seen as positive, however. Despite welcoming the new freedoms and rights regarding the status of the Uzbek language, some ethnic Uzbek intellectuals in Afghanistan warn against pitfalls. To them, concentrating solely on education in Uzbek might lead to disadvantaging this population once again, as Uzbek-speakers educated in their own language might find it difficult to compete with the country’s Dari- and Pashto-speakers. The Uzbek tongue in Afghanistan doesn’t have a history of being used as an administrative language or in the mass media. Unlike neighbouring Uzbekistan, where, in the 1920s, under Stalin’s policy, one particular dialect was selected as core and developed into a standard language, the Afghan Uzbek hasn’t had such a chance. Or has it? BBC Uzbek started its special radio broadcasts to Afghanistan’s Uzbek-speakers in 2003. Over the years of these broadcasts, the team has developed the Uzbek language that is understood in the country’s Uzbek-speaking areas. Based on the mammoth linguistic effort of our journalists, painstakingly honing the references, the nuances that work on radio and online, the BBC has developed its standards for the Uzbek language spoken in Afghanistan. This work has continued as we moved to the digital platforms and now to TV. We will continue to bring the world to them – and also help take their story to the rest of the world. There is so much to tell.